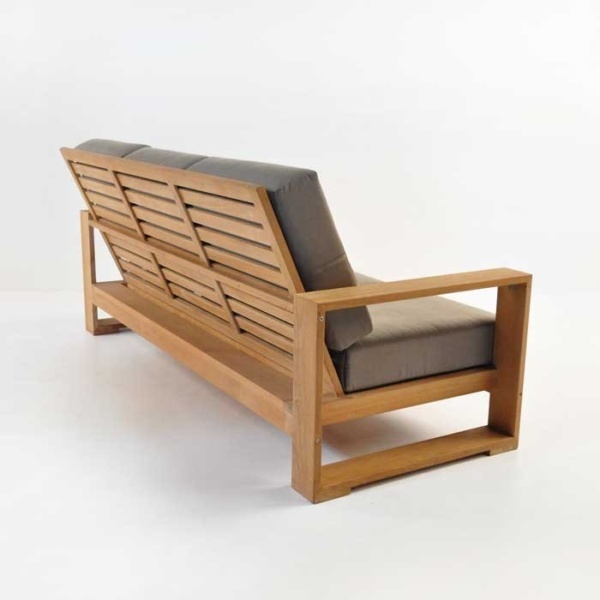 This mid century style outdoor sofa from the Havana collection is a perfect showcase for the A-Grade teak it’s made from. 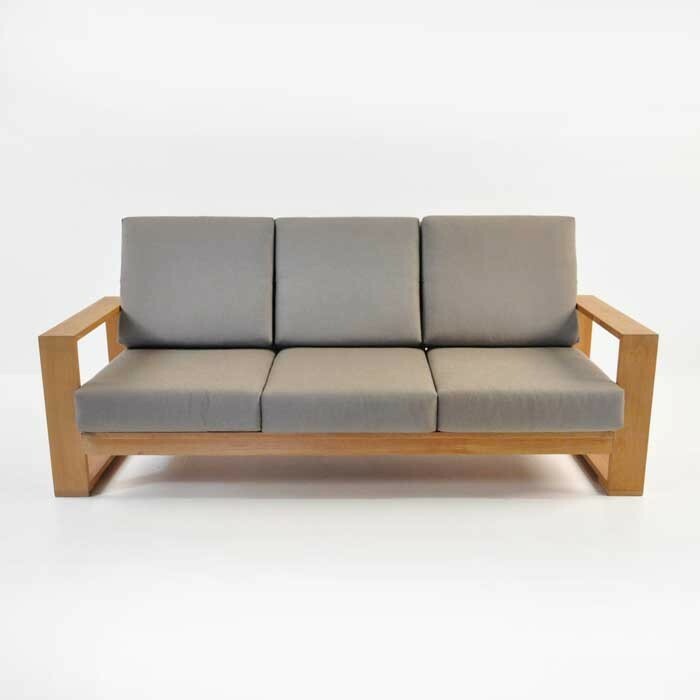 The thin but wide architecture of the arms on this teak outdoor sofa sets the stage for all of the design elements that give it a distinctly mid century modern feel. 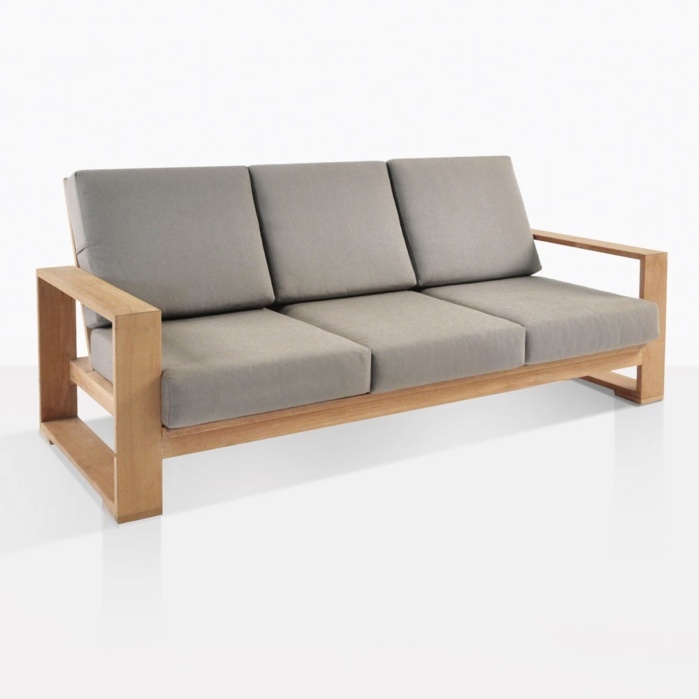 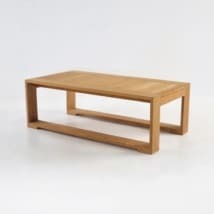 W82" x D36" x H35"
The teak used to frame the signature arms of this outdoor sofa is 1 inch thick by 5 inches wide, which gives a light and airy appearance from outside the sofa and a substantial feeling while in it. 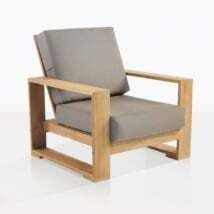 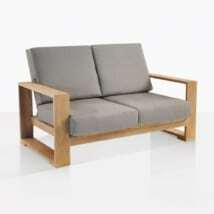 The seating depth is grand and gives enough room to get very comfortable, but still allows easy standing. 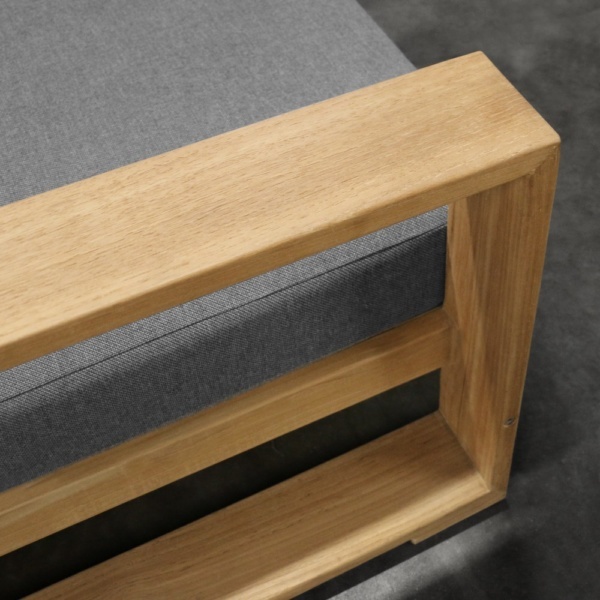 The angled back allows for a non-restrictive feel and a truly comfortable posture. 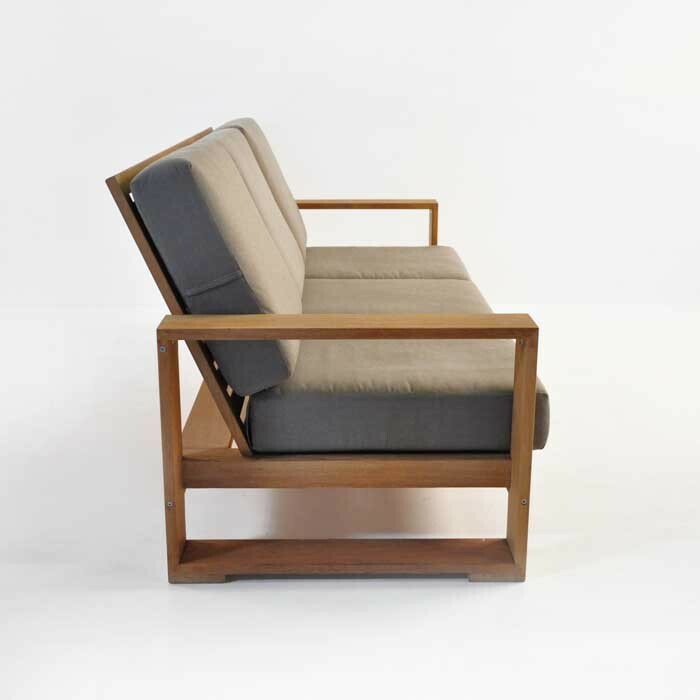 The attention to detail on the construction of this mid century outdoor sofa is high and you’ll notice little design elements as you look at the piece. The thin risers on the feet of the frame as well as the raised seating surface give visual cues that this teak outdoor sofa is built very well. This Teak Outdoor Sofa is in its element indoors and out, with the minimalist design and the comfortable Sunbrella® cushions staged to work perfectly in either environment. 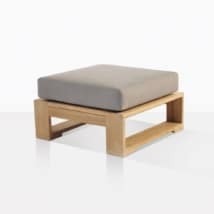 The footprint is compact relative to other deep seating collections and the colors offer an excellent contrast for the modern home so it can fit in easily with other styles of furniture.